In 2008, Patrick French came out with "The World is What it Is: the Authorized Biography of V S Naipaul"
V S Naipaul produced masterpieces in both fiction and nonfiction but never attempted his autobiography saying it can distort facts. The Nobel Prize and the Booker winner's oeuvre included over 30 works including the famous "A House for Mr Biswas" (published in 1961). His family on Sunday said he has died at the age of 85. According to Naipaul, fiction never lies and reveals a writer totally. But an autobiography, he felt, "can distort; facts can be realigned". In 2008, Patrick French came out with "The World is What it Is: the Authorized Biography of V S Naipaul", in which he examined among other things the legendary author's life within a displaced community and his fierce ambition at school. He then describes how, on scholarship at Oxford, homesickness and depression struck with great force; the ways in which Naipaul's first wife helped him to cope and their otherwise fraught marriage; and Naipaul's struggles throughout subsequent uncertainties in England, including his 25-year-long affair. 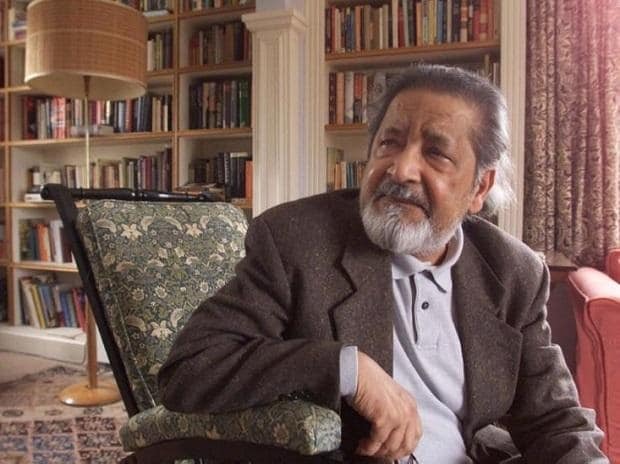 Vidyadhar Surajprasad Naipaul was born on August 17, 1932 in Trinidad into an Indian Hindu family and moved to England at 18 after receiving a scholarship to University College, Oxford. He subsequently settled in England, although he travelled extensively thereafter.ALSO READ: When V S Naipaul was bowled over by Cong leader Ram Niwas Mirdha! Vidyadhar was named for a Chandela king, the dynasty which built the temples at Khajuraho. His name means "giver of wisdom". "Back in the early 11th century, King Vidyadhar had fought against Mahmud of Ghazni, the first of the infamous Muslim invaders of India. It was an apposite name for the boy. Years later, as V S Naipaul, he would say, 'It's such a grand name, a very special name - I cherished it for that reason. I think great things were expected of me'," French writes in his book. Naipaul came to India quite a number of times, the last being for the Jaipur Literature Festival in January 2015. At the JLF session, he narrated what his mother had to say to him on writing about India. "The only Hindi word my mother carried from India was 'beta' and she said 'beta please leave India to the Indians'." His books on India included "An Area of Darkness" and "A Wounded Civilisation". He also wrote the India trilogy - "An Area of Darkness" (1964), which relates to his first journey to India, followed by "India, A Wounded Civilisation" and "India, A Million Mutinies Now". "I came to India first because of curiosity about my ancestral land. My publisher had agreed to pay me an advance for anything I would write on India. Although it was a petty amount even then I felt at peace to get it. I didn't know how to move in India but eventually I had to find my way," he had said. In "India, A Million Mutinies Now", Naipaul among other things writes about his ancestors and overseas Indian groups. "They were miniature Indias, with Hindus and Muslims, and people of different castes. They were disadvantaged, without representation, and without a political tradition. They were isolated by language and culture from the people they found themselves among; they were isolated, too, from India itself (many weeks away by steamboat from Trinidad and the Guianas). "In these special circumstances they developed something they would never have known in India: a sense of belonging to an Indian community. This feeling of community could override religion and caste.